Dynatect helps support a safer and more productive manufacturing environment through its focus on dynamic equipment protection and facility safety. Our mission is to continuously improve value added protective devices that promote safety and longevity for both people and equipment. Dynatect is dedicated to increasing productivity, decreasing downtime and improving safety for all our customers. 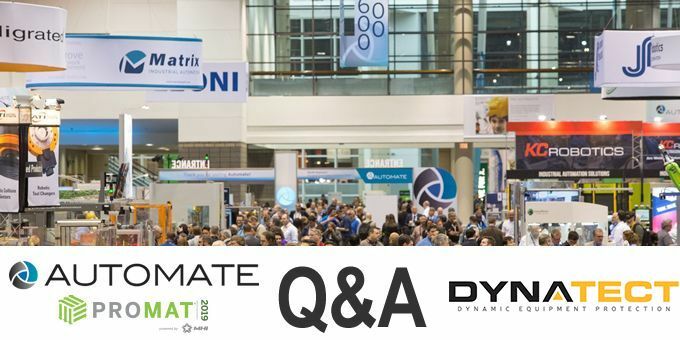 This is Dynatect’s second participation at Automate. The first exhibit was encouraging for us as there was real interest in automated safety guarding. We hope to connect with visitors looking to increase safety without increasing work footprint. While we have been manufacturing safety products for over 30 years, we are seeing great growth in the automation market and our products lend themselves perfectly to support customers of all sizes and industries. Dynatect has drawn on 30 years of custom engineered solutions to develop standardized safety doors that are reliable and simple to integrate. This high-speed roll-up barrier offers benefits that cannot be achieved from sensors and light curtains alone. Dynatect will feature Gortite® VF Automated Machine Safety Doors alongside a comprehensive profile of industrial equipment protection. Dynatect can be a single-source provider of similar protection needs like way covers, bellows, and cable carriers. Together, Dynatect engineering support and its full portfolio help customers meet their safety and productivity goals. Dynatect’s exhibit will include working demo displays for cable carriers, machine door actuators, roll-up protective covers, and of course, its machine safety door. I like to walk the floor and see what other exhibitors are focusing on. It’s a great opportunity to learn about the industry. 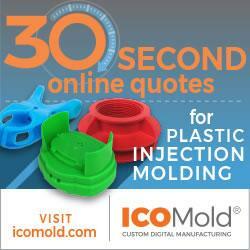 Vision systems and additive manufacturing technology are fascinating. I will see what exhibits promote safety and ergonomic products to understand what problems they are solving. The collaborative robot companies usually have something interactive and interesting going on in their exhibits. Automated physical barriers or guarding combined with safety technology are allowing machine processes and employees to work efficiently and safety without requiring larger footprints on the factory floor. Manufacturing in America is vital within the world economy and American manufacturers play a critical role in setting the benchmark for future manufacturing methods and technologies. The most critical hurdle I see in the coming years is replacing the retiring workforce with a vibrant, new highly skilled generation that will change manufacturing in profound ways. Automation, when applicable, is key to the future success of manufacturing. The new generation of manufacturing personnel will need higher training and a more diverse skill set. Were showcasing new products for machine safety, precision ground ball screws, and cable carriers. The Gortite® VF Automated Machine Safety Door acts as a physical barrier to isolate process driven hazards from people and equipment.